Facing sanctions from the West after the annexation of Crimea, Russia has reoriented its economy toward China. The results of the shift are mixed, but if trends continue, Moscow is likely to drift further into Beijing’s embrace. An asymmetrical interdependence is emerging, with global implications. Facing sanctions from the West after the annexation of Crimea, Russia has reoriented its economy toward China. In making the pivot, it sought to break its diplomatic isolation, secure a market for its energy resources, and gain greater access to Chinese credit and technology. The results of the shift are mixed, but if trends continue, Moscow is likely to drift further into Beijing’s embrace. An asymmetrical interdependence is emerging, with global implications. Russia’s economic outreach to China predates its annexation of Crimea and the imposition of Western sanctions, but it has intensified following the Ukraine crisis. In trying to reorient its economy quickly, Moscow has eased informal barriers to Chinese investment. There was a sharp decline in trade between China and Russia in 2015 and difficulties in negotiating new megadeals. Still, the rapprochement has accelerated projects that have been under discussion for decades, resulting in agreements on a natural gas pipeline and cross-border infrastructure, among other deals. Chinese financial institutions are reluctant to ignore Western sanctions, but Moscow and Beijing are developing parallel financial infrastructure that will be immune to sanctions. New deals in the railway and telecommunications sectors may set important precedents for bilateral relations. These projects could reduce Russia’s technological links with the West and increase its dependence on China. The Russian-Chinese relationship is increasingly unequal, with Russia the needier partner. Without viable alternatives, Moscow may be willing to accept the imbalance. Russia and China are not entering into an anti-Western alliance. Beijing does not want to confront the West over issues it sees as a low priority, such as Ukraine. Moscow prefers not to be dragged into growing U.S.-China rivalry or territorial disputes in the Asia-Pacific. Even if the McCain bill had passed, it would not have had a profound impact on the relationship. Indians who closely follow U.S. politics have been experiencing some whiplash over the past few weeks, as Prime Minister Narendra Modi’s visit to Washington DC was followed by a mixed week for India in the Congress. The intense disappointment over the failure of Senator John McCain’s bill on U.S.-India defence ties is misplaced, however. The bill, even if passed, would not have had a profound impact on the U.S.-India relationship. Conversely, the failure to pass the bill does not represent a serious setback for the relationship, nor is it a referendum on Congress’s attitudes towards India. Looking beyond this particular piece of legislation, however, it shouldn’t be expected that the right bill, if passed, would permanently place the relationship on a sound footing. The future of the relationship depends instead on a continued convergence of national interests and on India’s willingness to break away from its historic posture of strategic autonomy and fully engage with the U.S. It is a typical case of one up and one down. India has finally succeeded in becoming a member of the elite 34 nations Missile Technology Control Regime (MTCR), which, while boosting the arms export by the country, will also make for an easier access to sensitive, dual use technology. Clearly and apparently, it is an indication that in the years ahead India is poised to play a crucial role in shaping the global geo strategic dynamics. 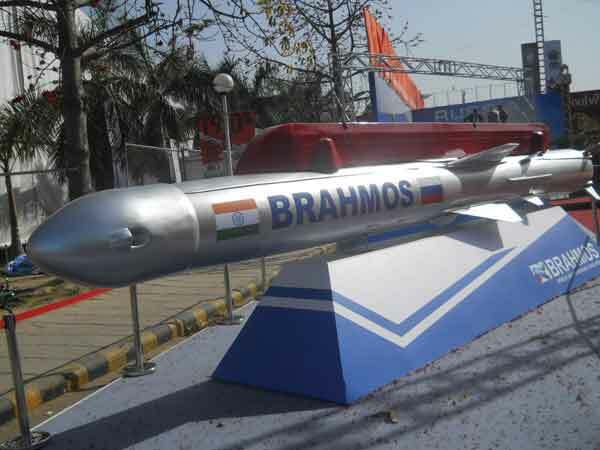 Strategic analysts are of view that India’s joining this elite non proliferation club as 35th member could bring in a range of benefits to the country including advanced technological elements for ballistic missiles and armed drones. This heart warming development which came closely on the heels of India failing to make it into 48-nations Nuclear Suppliers Group (NSG), due to the stonewalling by China, could, in a way, strengthen the Indian case for joining NSG whose mandate is to ensure non-proliferation of nuclear weapons through the implementation of guidelines for nuclear and related export. At the end of the day, India becoming the 35th member of MTCR speaks eloquently for the vastly improved standing of India in the comity of nations. Clearly and apparently, it is an indication that in the years ahead India is poised to play a crucial role in shaping the global geo strategic dynamics. What’s more, the MTCR membership would help India enter the global missile market in a big way. Indeed, India’s strides in designing, developing and producing a wide variety of missiles featuring cutting edge technologies have now been recognised globally. 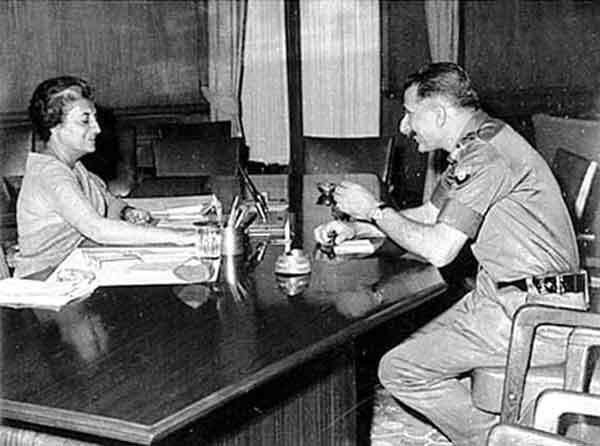 In the 1971 Indo Pak war, all attention was focused on the Eastern front. In the West Indian successes in Punjab, (Shakarhgarh, Chicken’s neck near Akhnoor) and thrust towards NayaChor in deserts were substantial. We however lost small areas in Fazilka sector. 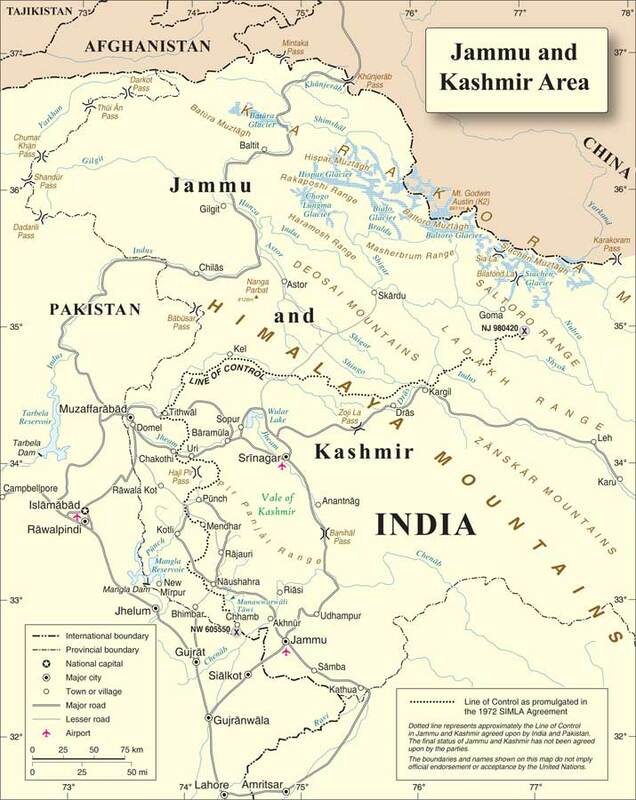 If the India had plans to retain the captured territory in J&K, a major thrust towards Skardu or Gilgit could have threatened the land access between Pakistan and China. In Kashmir, Pakistan gained some territory in Chhamb as the Indian army poised for offensive was caught off guard by Pakistani attack. A determined Pakistani attack against city of Poonch was thwarted by superior Indian strength. India captured strategic out posts in Kargilarea, posts that dominated the Srinagar – Ladakh road link and was a constant irritant. In a war fought at the height of winter, the better-trained and equipped Indian mountain troops also captured vast areas in North of Leh in Partapur and Turtuk sector. With the exception of ‘local’ initiatives in Ladakh, largely due to valiant efforts of the great Colonel Chewang Rinchen and his Ladakh Scouts, rest of cease fire line (as it was then called) did not see any major offensive action from our side. Kashmir was not an issue at all in that war. Later at the Shimla Peace Conference, India brought in Kashmir issue. The Cease Fire Line (agreed as per Karachi agreement of 1949) was converted to LC or Line of Control, a sort of halfway house between cease fire line and international border. Though not marked on the ground, it is marked on the map in great detail after a joint ground survey. But at the conference it was also agreed to Let Each Side Retain The Territory Captured By Each Other In The Jammu And Kashmirwhile withdrawing to own side of the international border ( Clause 6, section 4 and 5 Simla Agreement). The rise of Dogras and formation of Jammu and Kashmir state began in a turbulent times of the history when the Sikhs under Maharaja Ranjit Singh, Marathas under Chhatrapati Shivaji and the Rajputs of Rajputana, all rebelled against tyrannical Aurangzeb. Decline of Mughal Empire led to a period of great turbulence and instability in India. Afghans, Persians and later the British took advantage of this empirical disarray. The Sikh military power under Maharaja Ranjit Singh reached its zenith at this time. Rise of Gulab Singh and formation of Jammu and Kashmir and its indigenous Dogra State Force also happened in this turbulent period. 195 years ago, on 17 June 1822, Gulab Singh was anointed as Raja of Jammu at Jia Pota Akhnoor by Maharaja Ranjit Singh himself by applying Tilak at his forehead. History of Jammu and Kashmir, as would be seen, took a new turn thereafter and is practically the history of vision of one man, Gulab Singh. By virtue of his vision, abilities and valour, he went on to make an empire of his own as ‘Jammu & Kashmir’ by extending its borders to Tibet, China, Russia, Central Asia & NWFP. It was surrounded by nearly half the world population and hence became a trade corridor of the world. At the tender age of 16, he distinguished himself in the ‘battle of Gumat’. He led young Dogras and blunted the successes of Sikh Army and forced them into treaty with Raja Jeet Singh, negotiated by Mian Mota and Raja Alam Singh Akhnooria. Impressed by his courage, bravery and swordsmanship, Bhai Hukam Singh and Nihar Singh Attariwala, the invading Sikh Chiefs, narrated the story of his prowess to Maharaja Ranjit Singh. Maharaja Ranjit Singh rewarded him by appointing him as cavalryman. 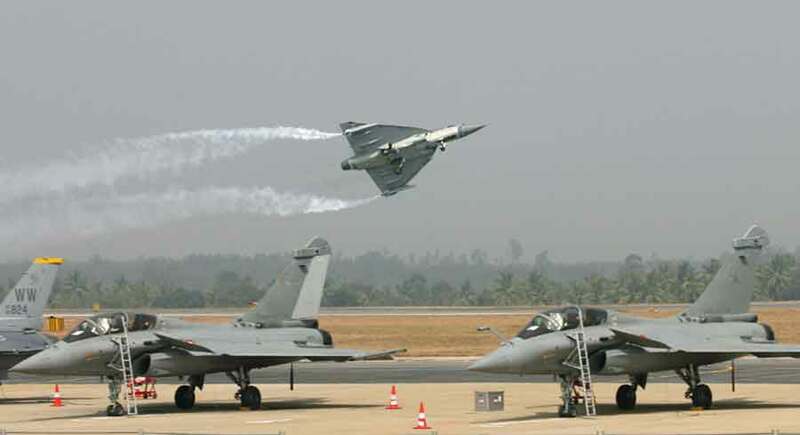 It will be a few years before Hindustan Aeronautics Ltd (HAL) can deliver the squadron’s full outfit of aircraft, but the time would be gainfully employed to acquire flying experience and achieve the mandatory 'Final Operational Clearance' for this sophisticated machine. The Defence Research and Development Organiation (DRDO), India’s powerful defence research monolith, usually in the news for its shortcomings, deserves the nation’s compliments on this occasion. However, this is also a good juncture to draw lessons for the future, without yielding, either to euphoria or to negative skepticism. Both the Afghan government and the international coalition bear responsibility for the country’s lack of progress. After 15 years of international cooperation following the fall of the Taliban in 2001, Afghanistan has progressed dramatically, although admittedly from a low starting point. The country has increased literacy rates and school attendance for both boys and girls. Electricity is now expected in major cities where it was nonexistent 15 years ago. Major projects such as the Salma Dam have been opened and others such as the Kajaki Dam are progressing toward utilization. Roads between all major cities are functional where they were a series of loosely connected potholes in 2001. But, considering the massive expenditure and effort to achieve this progress, the results are not satisfactory. The opportunities presented to the Afghan people via the overwhelming support provided by the international community will slip away without persistent and patient ongoing support. International commitment is waning as a result of the Afghan government’s stalled progress. The National Unity Government remains intact, but despite a positive vision from President Ashraf Ghani it has not lived up to expectations. Corruption from the ministerial down to the district level is rampant as many officials are concerned more with their own needs than the needs of their constituents. Cooperation between the president and CEO Abdullah Abdullah exists in public, but in private there is growing separation and mistrust. Parliamentary elections are scheduled for October 15, 2016 after a delay of over a year, but planning and preparation are lagging. Government institutions suffer from a lack of funding and human capacity at all levels. A Chinese state-owned defense firm may have provided the transporter used for Pakistan’s Shaheen-III medium-range ballistic missile. IHS Jane’s Defense Weekly, citing an Indian government source, reports that China Precision Machinery Import-Export Corporation (CPMIEC), a state-owned defense export firm, made the 16 wheeler transporter erector launcher (TEL) for Pakistan’s Shaheen-III missile. Pakistan is believed to have taken delivery of the TELs at the end of February or in early March 2016. The source also said that Pakistan’s National Engineering and Scientific Commission has set up an assembly line at the Punjab-based National Development Complex to assemble TELs for Pakistani missiles. Pakistan and China are close allies. While China has been accused of abetting Pakistan’s nuclear and missile programs, it officially denies providing any technological assistance to Pakistan. The Indian source that spoke to Jane’s notes that Pakistan and China began negotiation on 2012 for the CPMIEC-built TELs. United States officials have previously cited (PDF) CPMIEC, along with other Chinese state-owned firms, as “serial proliferators” in the case of North Korea. The Shaheen-III is one of Pakistan’s solid-fuel ballistic missiles, capable of delivering a nuclear weapon. The missile went into service early last year. India’s abortive bid for membership of the Nuclear Suppliers Group (NSG) highlights the perils of high visibility and volatility in diplomatic negotiations. Indian diplomacy in the past was careful to operate “under the radar”, but there has been a tendency, of late, to depart from this time-honoured practice. Added to this are attempts seen at times to impart a “spin” to developments. The frenzied campaign for NSG membership and the failed bid come within this purview. Recent visits of our Prime Minister to the United Arab Emirates, Saudi Arabia, Iran, Afghanistan and Qatar have, undoubtedly, helped strengthen relations with these countries, especially in the area of economics and trade. Each one of these countries has also been desirous of partnering India in development-related activities, recognising India’s current importance in Asia and the region. However, the same cannot be said of strategic and security relations. Here, certain brakes require to be applied to diplomatic hyperbole. For instance, mere mention in joint statements of shared security and strategic concerns, common ideals and convergence of interests, enhanced defence ties, etc do not translate into a strategic relationship. In such matters there is need to tread with caution. THE Holey Artisan Bakery, an upscale café and restaurant overlooking a placid lake in Dhaka, was a foodie’s labour of love in a verdant corner of the chaotic capital. It offered French croissants and Manhattan-style brunches. But on the evening of July 1st, at the start of the Eid holiday week that marks the end of Ramadan, it turned into a place of terror. After Bangladeshi commandos recaptured the restaurant the following day, the scene might have been drawn from the Vietnam war—with shredded tropical greenery, armoured vehicles and 28 dead bodies, many of them expatriates. The gang of about seven attackers, armed with semi-automatic rifles and improvised grenades, stormed past the flimsily guarded gates and fought off an initial attempt by security forces to storm the restaurant. In the course of a 12-hour siege they slit the throats of anyone who could not recite verses from the Koran. At one table were eight Japanese customers, some of who were consultants for the Japanese overseas aid organisation. Only one is thought to have made it out alive. At another table Italian garment entrepreneurs suffered a similar fate. The Islamic State (IS) claimed responsibility and posted horrifying images of the dead during the siege. Friday's events expose Bangladesh government's refusal to recognise the presence of Islamist terror in the country. The attack by Islamic State (IS) on a Spanish restaurant in Dhaka’s diplomatic zone of Gulshan late Friday evening exposes once again the vulnerability of the state machinery in Bangladesh. This is not, of course, the first time that violence has shaken up the structure of the state. Since its liberation from Pakistan in 1971, the country has been no stranger to violence, either in its politics or social structure. But in the past decade, the uninhibited growth of Islamist fundamentalism has posed a threat that has overshadowed all previous threats to the socio-political stability of the country. The threat has now taken on dimensions which leave Bangladesh’s ruling classes looking woefully embarrassed, especially in light of the government’s repeated denials of the presence of Islamic State or its affiliates in the country. Prime Minister Sheikh Hasina and Home Minister Asaduzzaman Khan Kamal have for months been dismissive of reports of IS presence in Bangladesh, to a point where the former has regarded such reports as an attempt to undermine her government while the latter has infamously let it be known that all Islamist acts of violence have actually been isolated incidents. The attack on Holey Artisan Restaurant, a café which largely catered to foreigners and affluent Bengalis in an elite residential region of Dhaka, has now given the lie to the assertions of the government. The fact that the IS has already claimed responsibility for the attack, which left 20 killed and many more injured, is vindication of the long-held feeling that Islamist elements have been making inroads in the country. 'When we have a terrorist outfit in a neighbouring nation, we need to do whatever we can to neutralise that threat,' says Ramananda Sengupta. Daesh, or Islamic State had made it very clear in the April 2016 issue of Dabiq, their slickly produced online magazine, that Bangladesh was its next big terror base -- in order to attack India. Announcing Abu Ibrahim Al-Hanif's appointment as the 'Amir Of The Khilafah's (Caliphate's) Soldiers In Bengal (Bangladesh),' with a lengthy interview, IS was clearly semaphoring its intent. On friday morning, I got the news that a terrorist organisation called Ansarul Khilafa from Kerala owing allegiance to the Islamic State (IS) had issued a death threat against me on its Facebook page. By the evening, I got the news of the attack by Islamic terrorists in a Dhaka café. I was worried for my life for a while. But then, my concerns turned to the lives of the hostages at the Holey Artisan Bakery. Section 57 of Bangladesh’s Information and Communication Technology Act, 2006 — that allows the arrest without a warrant of any person who “deliberately publishes any material in electronic form that causes to deteriorate law and order, prejudice the image of the state or person or causes to hurt religious belief ” — was introduced for one simple purpose: to gag freedom of expression. In the wake of Russian President Vladimir Putin’s visit to Beijing for a summit with Xi Jinping, the reaction in the Western media has been predictably skeptical. Snickering about the Russia-China axis has been a fixture in Washington and most European capitals for far too long. Western media and policymakers commonly react to the Kremlin’s “pivot to China” in the wake of the Ukraine crisis with derision. The dominant view in these circles is that there is much more dividing China and Russia than uniting them. Moscow is afraid of its giant neighbor, which increasingly holds the dominant position in the relationship, according to thestandard line of argument. With a gross domestic product that dwarfs that of Russia and an army growing progressively more capable and assertive, China seems to present a threat with which the Kremlin is ill-equipped to deal. Further, China depends far more on the West for markets and technology, and its trade with the European Union and the United States is nearly ten times larger than trade with neighboring Russia. In short, the argument goes, the partnership between Moscow and Beijing is a shallow one, so the West shouldn’t fret too much about it. For understandable reasons, a sharp drop in bilateral trade in 2015 and the distinct lack of progress on high-profile investment and energy deals are cited as evidence that Russia’s “China dreams” were totally unrealistic from the outset. However, the situation is much more complex than this analytically complacent narrative suggests. Poking holes in Russian and Chinese propaganda may be worthwhile, but not if it lulls outside observers into missing the fact that Moscow is slowly but surely drifting into Beijing’s firm embrace. Recent skirmishes in the South China Sea between the Indonesian navy and China’s coast guard have reinvigorated public interest towards the region. Some applauded Indonesia’s resolve in defending her rightful maritime territory. However, some are still left wondering over China’s motives in provoking such regional conflict—including with Vietnam, Malaysia and the Philippines. How can one explain why China risks a major war that could potentially drag the United States in for a bunch of uninhabited rocks? Some say they are fighting for control over major oil and gas reserves in those seas. But this seems not to be the case. After all, great powers have rarely fought one another in a major war over economic resources in modern history, if at all. Or is it because of China’s nine-dash line? For sure, one needs to differentiate the means, ways and ends of phenomena. The nine-dash line is a means that China uses to justify its policy ends. But it does not explain the endgame it wants to achieve—therefore, it cannot be used to explain its motives in the South China Sea. Let’s take a look back at the twentieth century. World War I started when Austria-Hungary declared war on and attacked Serbia. So, does it mean that World War I was caused by Austria-Hungary’s invasion? No. Austria-Hungary did start the war, but it was certainly not caused by it. The cause of the war was the great powers’ concern about the prevalent regional order in Europe—and their wish to alter it. Russian President Vladimir Putin's state visit to China in late June was a major event in the Sino-Russian bilateral relationship. High-level visits between the two sides have gradually become a mechanism, and have turned into a driving force for the development of the China-Russia strategic partnership. Putin's tour came on the 15th anniversary of the signing of the China-Russia Good-Neighborly Treaty of Friendship and Cooperation, and the 20th anniversary of the establishment of the Sino-Russian strategic partnership of coordination. At this special moment, the meeting between Chinese President Xi Jinping and Putin will further shore up the foundation of bilateral ties, which not only favors the development in both countries, but also will benefit global peace and stability. Beijing and Moscow signed over 30 deals this time covering high-speed rail, wide-body aircraft, large civilian helicopters, energy exploitation, simplifying customs control procedures, nuclear power generation, aerospace investments, media, the Internet, and the connections between the "Belt and Road" initiative and the Eurasian Economic Union (EEU). The inside story of India's audacious bid for membership of the Nuclear Suppliers Group and how China's sustained opposition thwarted it for now. Despite the setback, Modi's team remains confident of getting in. On June 27, at a quiet ceremony in New Delhi, Foreign Secretary S. Jaishankar signed India's accession to the Missile Technology Control Regime (MTCR), making it the 35th member of this exclusive club. It was a triumph of sorts because the Regime was set up in 1987 to prevent India and other aspiring countries from acquiring the critical technology and material required to build nuclear-tipped missiles. What made India's entry special was that China, despite several attempts, has still not been admitted as a member. Yet even as the diplomatic and scientific community in India rejoiced at the achievement, their celebrations and those of the Indian government were muted due to India's recently rebuffed bid to become a member of another technology restraint regime, the Nuclear Suppliers Group (NSG). The NSG, a grouping of 48 members, was formed in the wake of India's first nuclear test in 1974 and put in place a rigid set of rules that prevented its members from engaging in nuclear trade with those who did not adhere to the Nuclear Non-Proliferation Treaty (NPT). Just the previous week, at the annual NSG plenary meeting in Seoul from June 20-24, India fought a bruising battle to be admitted as a member after it had put in a formal application in May this year. But China, which was admitted as an NSG member only in 2004, spearheaded a campaign that stalled the consensus India was hoping to build. Though member nations can continue to trade with India, because of the special waiver the NSG granted in 2008 as part of the landmark Indo-US civilian nuclear deal, there was little doubt that the outcome of Seoul was a diplomatic slap to India's efforts. But on that Fourth of July in 1976, there was nothing for the terrorists to fear. Looking back forty years, it’s depressing how little things have changed. Today it is suicide bombers, but in the 1970s, the terror spectaculars were airliner hijackings. Wikipedia listsforty-four hijackings during that decade, committed by an assortment of Palestinians, European and Japanese radicals, African-American militants, Croatians, Kashmiris, Lithuanians, criminals, lunatics, and anyone else with a grievance, gun or grenade. Some hijackers surrendered; others found sanctuary in places like Cuba and Algeria. But rarely did police or soldiers attempt to storm the aircraft and rescue the hostages. Three significant developments within the week signal that the momentum built up by Prime Minister Narendra Modi’s path-breaking visit to Iran in May has not petered out. This may seem a sardonic remark to make, because we are displaying here a rare buck-the-trend syndrome. In the usual case, we don’t care to follow through with the groundswell that appears during a high level visit. Thus, the government notification last week lifting the ban on trade of specified items with Iran (Reuters), the ‘operationalization’ of a new payment channel to transfer to Iran its blocked funds in India (Economic Times), and the ‘breaking news’ that India’s oil imports from Iran surged by 39% in June year-on-year (Reuters) – each in its own way becomes a signpost marking appreciable dynamism in the policies toward post-sanctions Iran. Indeed, our old mindset toward Iran needs to be discarded. It’s economy, stupid! The US sets a brilliant example here. No doubt, the Boeing’s $25 billion deal to sell aircraft to Iran is a game changer. (USA Today) The Obama administration has shown pragmatism of a sort that is simply breath taking – bending the US’ sanctions regime to enable Boeing to secure such lucrative business. In the days following Britain’s vote to leave the European Union, a perceptible gloom settled over its capital. In Underground stations, over a beer after work, in sandwich shops at lunch, I could hear dismayed Londoners wonder how Brexit could be good news for anyone. Well it is good news, in the long run, for some people. Indian companies and exporters are at the top of that list. True, some Indian companies are seriously overexposed to the British economy. And investors’ predictable flight to safety after an epochal event like Brexit certainly hits emerging markets such as India: The Sensex dropped like a stone after news broke of the result. Indian information technology companies like Infosys and Tata Consultancy Services -- which rely on Europe for perhaps 30 percentof their export revenue -- might now have to set up dual headquarters, in Britain and in Europe. For the kind of low-margin projects they typically take on, this sort of increase in costs is a serious problem. Existing contracts denominated in British pounds might have to bereworked in order to stay profitable, according to Indian IT industry lobby Nasscom. For other companies, uncertainty is going to make strategic planning difficult. Tata Steel, controlled by Tata Sons out of Mumbai, is in the process of working out what to do with its European plants. One recent report claimed the company was close to combining its European operations with Germany’s ThyssenKrupp. It’s unclear whether such a merger would now go forward. 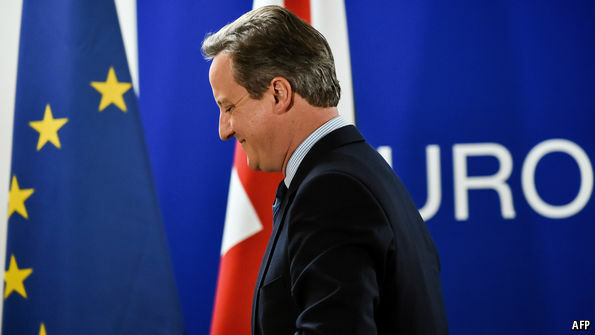 The Kremlin is enjoying the discomfort that Brexit is causing to the European Union. But that does not mean that it wants Europe broken up. It just wants a return to old-fashioned bilateral diplomacy. This was the working assumption of most of the rest of the world—as well as most of the British establishment—about last week’s European Union referendum in the United Kingdom. The consensus view was that the British people would exercise their famous common sense and vote for stability and order. Last Thursday, 52 percent of those who voted in Britain chose to defy that assumption. The Out vote was a triumph for the kind of sentiments that Russians are used to ascribing to their own public: the idea that sovereignty is more important than integration if the integration is not happening on your terms, that the status we had in the past is more desirable than the future on offer from the world’s politicians, journalists, and experts. In common with Russians, the British also rejected the idea that the European Union represents the global model of the future and that the era of classic nation-states and empires is disappearing into the past. The LookingGlass Cyber Threat Intelligence Group (CTIG) has been monitoring an active Russian state-sponsored cyber espionage campaign targeting Ukrainian government, law enforcement, and military officials in order to steal information that can provide insight into near term Ukrainian intentions and plans. Dubbed “Operation Armageddon” due to the author’s name used in a Word document used in the attacks, the campaign has been active since at least mid-2013. The Security Service of Ukraine (SBU) has released at least two statements publicly regarding these attacks, in September 2014 and March 2015. The SBU has attributed these attacks to specific branches of the Russian Federal Security Service (FSB). CTIG’s findings support the statements made by the SBU. What makes this campaign interesting is the motivation for the attacks: obtaining an advantage in kinetic warfare against Ukraine. Through extensive temporal and technical analysis, the CTIG has found evidence that correlates waves of Operation Armageddon with Russian military activity in and around Ukrainian conflict areas. It is clear that Russia continues to advance their information warfare components of their overall modern warfare strategies in order to further their global interests. Recent years have seen a steady evolution in the sophistication and aims of cyberattacks. While cyberespionage continues to threaten the sanctity of government and private sector data, cyberattacks have also been used to support real-world military operations; Georgia and Crimea easily spring to mind. Now, a new class of cyberattacks is being carried out in the absence of military campaigns. Cyber prophets have long discussed how independent cyberattacks could target critical infrastructure. A recent hack of Ukraine’s power grid brought these predictions to life. Given increases in the ability and willingness of various actors to target a nation’s critical infrastructure, David Gompert and Hans Binnendijk have argued that the United States should use cyber operations to “amp up the power to coerce.” This is a reasonable objective, but it ignores the conventional wisdom about cyber coercion that says it doesn’t work. A major component of successful coercion is detailing the pain your enemy may endure. Communicating that capability in the cyber realm is likely to induce your enemy to “patch” the vulnerability you were hoping to exploit. How can actors ever coerce targets with cyber weapons if threatening them effectively neutralizes their utility? We propose one possible way of resolving this problem: selectively revealing an individual cyber tactic to your opponent. Exploiting the “perishable” nature of certain cyber weapons helps to address some of the problems with cyber coercion, though many problems will remain. This is true in at least three ways. First, it can reduce the uncertainty surrounding your capabilities by hinting at the breadth or depth of your remaining cyber arsenal. Second, because these weapons can be costly to develop, burning a tactic or vulnerability can serve as a “sunk cost” signal of resolve. Third, since some cyber weapons may be more damaging than others, the choice of which vulnerability to burn can communicate your level of interest in the dispute.